"I am privileged to lead the best convenience store distribution team in the industry. At Team Sledd, we are proud of our retail focused approach to building customer success and providing retail driven solutions to the present and future challenges of operating a convenience store. 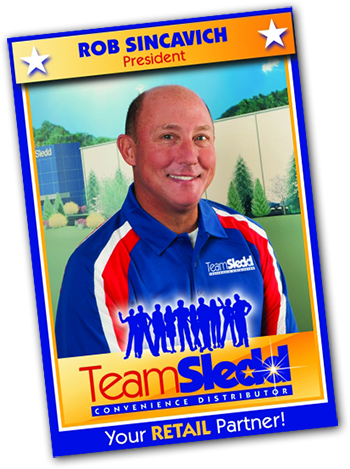 Let us show you how Team Sledd can become your value added retail partner and take your convenience operation to the next level."